Back in 2005, I heard a song by a singer I had never heard before. The song was You Don’t Lie Here Anymore and the singer was Shelly Fairchild. I was struck immediately. I shouldn’t have cared about this song. Nor should I have cared about this singer. I didn’t like country music much at all, especially country music in the mid-2000s. Yet this song and singer intrigued me. I tried to explain it to myself and to others, but I couldn’t really figure it out. I tried to justify my liking this song due to the fact that, if you removed the guitar twang and fiddle, this song would not have felt out of place on Headbanger’s Ball in the late ’80s (admittedly a super fun time in my musical enjoyments). But that wasn’t the only reason and I knew it. My desire for personal understanding turned this question into a quest and one I eagerly set out upon. To begin, I decided I had to figure out who this singer was. At the time, Ms. Fairchild was being lumped in with a bunch of other young female country artists the country music industry was trying to push as the next … something … the next Gretchen Wilson perhaps? A young, slightly rowdy woman to allow other women to be rowdy vicariously? But maybe not. Because then came the FHM issue with Ms. Fairchild posing with seven other young country ladies dressed in various states of lingerie. This fold-out cover included people like Kerry Harvick, Jennifer Hanson, Lauren Lucas, Catherine Britt, Jessi Alexander, Jamie O’Neal, and Tift Merritt. (If any of these ladies are popular and talented, I honestly mean no offense, I am just not familiar with many country music artists. And this magazine issue did not prompt me to check them out.) The FHM cover story came across like “Midwest Burlesque” rather than serious musical interest. So what to do now? Was Shelly Fairchild a wild southern gal just wanting to sing about having a good time? Or was she a wannabe pin-up model trying to make it based on her good looks? Confused, I listened to You Don’t Lie Here Anymore and realized that she is neither of those things. Those things were publishers and promoters and managers and music industry folk who wanted to fit her into some pre-established role. That song, that voice, did not say the same things. I bought Ms. Fairchild’s debut album with Sony Records entitled “Ride” because the only way for me to solve this riddle in me was to hear more from the artist. Admittedly I was not expecting a lot. As I mentioned, I was not really a country music fan. Given that this album seemed to come straight out of Nashville, I was concerned that I had just been tricked by a single song and the rest of the album would leave me flat. I was wrong. In fact, I was very happy to be wrong, as this album caught me by surprise, even though I was wanting it to be good. Is it a perfect album? I’d say no, but again, my personal preference would like a little less “country” in my country music. But it is a very good record and a very intriguing beginning. In the name of continuing this story of discovering why Ms. Fairchild touched upon my personal aesthetic, I believe it is only fitting to include a song-by-song review of “Ride” here. I will write about and provide a personal rating of each song on the album to try to make some sense of this all. To be fair, I will do this song-by-song review as I listen to the album again today, in 2017, to see if anything new bubbles up. Overall, this album has a lot going for it. I can see where some die-hard country fans wouldn’t like it. I can see where some poseur country fans wouldn’t like it. I can see where some others wouldn’t like it. To put it as best I can, this is a very good album with a lot of very good songs (and a few great ones). This isn’t Bob Dylan or The Beatles, but it also isn’t disposable bubblegum. It is an album that showcases a new artist and it sounds like she has something to say. Listening to “Ride” again leaves me with the same feeling I had back in 2005 – it is good, really good, but somehow seemed a little inauthentic. Maybe it has too much Nashville sheen. Maybe it is trying too hard. Again, it is a good record, but I want more. I feel like the course in Shelly Fairchild is incomplete and I need more data. I need more music, more opportunity to listen to that voice and try to decipher the artist through the art. Six years would be the wait. In 2011, when the announcement of Ms. Fairchild’s new album, I was beyond excited. I bought it and downloaded it the minute it was released. And I loved it. In fact, it impressed me so much that I was inspired to write a little review of it. It was the first review I had done since my college DJ days, but I wanted to do whatever I could to help bring people to this record. I will freshen up that review below while working through this album song-by-song as well. To start, this is an exciting album! What I mean by that is that this is one of those albums you listen to, move to, let it infect you, and then after it is over you wonder if really experienced all that. The last time I had that feeling was the first time I heard Nikka Costa’s 2005 album, “Can’tneverdidnothin’.” I think it is a fair comparison actually. Both Costa and Fairchild have an insane amount of vocal and performance talent that has been sadly overlooked by much of the music listening public. Costa has a little more urban R&B in her voice where Fairchild has a bit more southern swamp, but both of them shake your soul like a lonely thunderstorm in the middle of a summer night. 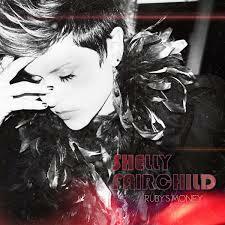 Overall, Shelly Fairchild’s”Ruby’s Money” is an excellent and enjoyable album. I threw a lot of names/influences/similarities out there during this review, but that doesn’t mean Shelly Fairchild is derivative at all. She is her own, unique artist who recalls old-school funk sensibilities with layers of gospel and soul mixed through a blues pastiche and blasted out of the rock speakers of a Ford Mustang convertible speeding down the back roads of Mississippi. “Ruby’s Money” is a full-fledged album. It has varying feels and moods. It has different tempos and rhythms. It has incredible individual songs and taken together it is much more than the sum of its parts. It is an album in full measure and it holds up against anything I have heard in many a year. This isn’t a debut album, but it sure as hell sounds like a statement album. An album of purpose to announce that Shelly Fairchild is on the scene and taking no prisoners. As you can tell, I was, and continue to be, thoroughly impressed with “Ruby’s Money.” I began the wait for Ms. Fairchild to become a household name. I was looking forward to seeing her name on the marquee at famous music halls and large arenas throughout the world. I was sure that the rest of the world would hear what I heard in that album. I was sure that the rest of the world would hear what Ms. Fairchild put of herself in that album. I was confident that I had discovered the mystery of why I was drawn to the work of Shelly Fairchild from the beginning. The “country” aspect of her first record didn’t deter me from her music because, as I thought “Ruby’s Money” showed, she was more of a soul singer than anything. But, as happens so often in life, as time passed, I started to think maybe I was more clueless than correct. I didn’t hear about Ms. Fairchild headlining any big festivals or getting network television specials. I didn’t hear about record labels clamoring to sign her to long-term deals. I didn’t hear new artists list her as an influence. In fact, I heard little at all. So I started my own bit of research. I started asking people whose opinion on music I respect what they thought about Shelly Fairchild. Most of those people did not recognize the name or remember . (Problem #1 identified!) Others who did recognize the name would refer back to the “Ride” album and normally name Tiny Town as a pretty good song, if they remembered correctly. Almost no one knew about “Ruby’s Money.” (Problem #2 identified!) Instead of harping on the record industry and marketing and all that, I decided to just add to my research methods. And so, I was back to square one. Maybe I was wrong and did not really “get” what Ms. Fairchild was all about. Maybe my own biases against modern country music made me foolishly devalue “Ride” and, in turn, place my own interpretations onto Ms. Fairchild’s interests and musical home. Sadly, my self-assessment felt like it received confirmation when Ms. Fairchild announced that she was to begin work on a new album and that it would be a return-of-sorts to the country sound of her first record. What was I expecting, after all? Ms. Fairchild is a small town Mississippi girl and has never shied away from that fact. Maybe country music really was her love and where she wanted to make her voice known. Maybe I was just hurt that she would put herself back into that world. That “country music world” for lack of a better term that had not treated her well previously. A world where she was seen as a commodity and not an artist. A world that would support someone as long as they followed the behavior of what that world considered appropriate. A world that did not seem to be very accepting at best and willing to destroy people’s careers at worst. A world where “bro-country” is a thing. A world where stories (regarding the fans and crowds, not the artists) about racism and sexism and homophobia and nationalism and more seemed to come out weekly. This hurt, because I truly felt that Ms. Fairchild, the singer who wanted a Love Revolution and wanted to Love Everybody, deserved a stage where more open-mindedness could shine through. But maybe I was just an old cynic now and shouldn’t begrudge anyone trying to make a living. I contributed to the PledgeMusic campaign to fund the new album because it was for her. I wanted to hear anything Ms. Fairchild would sing, regardless of the genre. I wanted to help in any way I could to get that voice out there. Also, I wanted to get a definitive answer about who Ms. Fairchild was as an artist. I mean, honestly, this was a singer who had two albums and who I have never been to see live, so why would I list her as one of my all-time favorites? I was hoping the new album would help show me the answer. So we are back to this – Who is Shelly Fairchild? 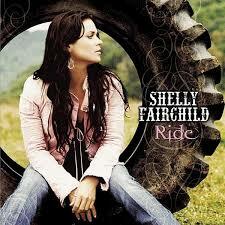 Can I conclude that Shelly Fairchild is a country artist? Is she a soul singer? Is she a blues singer? Is she looking for whatever genre will put enough food on the table? Is she a singer/songwriter? Is she a roots-rock performer? Is she, as I’ve seen her describe her style, part of this loosely defined “Americana” genre? Is she a rock star? Is she Janis Joplin? Is she Tina Turner? Is she Patsy Cline? Who is Shelly Fairchild? But more so, I am left with more questions. As I listen to these albums again, review and re-review them, write about them, and ponder over them, there are new questions I feel I must answer. And that may answer the first question. How is it possible to make three albums, which sometimes do not feel of the same artist, and have them be so damn good? How is it possible that if I rated the albums from 1-10, they would rate 8.23 out of 10,9.23 out of 10, and 9.55 out of 10 respectively? How is it possible that if I rated every song on these three albums from 1-10, there would be 14 of 33 songs rated 10 out of 10?! How could one artist, not named Prince, be able to make me feel this way about her music, especially since it was never marketed to my typical likes? I like to think that my tastes are pretty good and I like to think I am a pretty intelligent person. As such, I have come up with this – labels are meant only to limit, not enhance. The music industry wants to label artists so they can focus their marketing dollars and get a good return. But one person being labeled as more than one genre risks splitting potential profits from another artist on their roster. So a label gets thrown on someone in the hopes that myopia can help drown out creativity. The same goes for life. If a child gets labeled a problem, everything they do is shaded with that label. If a strong woman fights for what she deserves, she gets labeled negatively in order to minimize her concerns. Even the opposite direction creates issues. If someone finds success in one field, they are never considered a potential expert in another, regardless of what they do. When you label anything it automatically loses its chance to grow into anything more. Even when doing things independently, retail outlets still require one to label their work. The way out of this dilemma seems to have only one solution. I have decided to stop trying to label Shelly Fairchild’s music. I no longer care what the record companies, the music industry, or the retail world choose to define her records. Just saying those words feels like those limitations have been lifted. It feels like freedom from an archaic institutionalized system of branding. If you don’t believe me, try it. Stop labeling something. Anything. Just one thing. And watch how much more it can be for you. I recognize this is starting to drift into a philosophical treatise, so I will return to the main focus here. Now that I do not feel the need to label Ms. Fairchild’s songs, can I finally answer the question of who is Shelly Fairchild? Ms. Fairchild is a Mississippi woman. Ms. Fairchild is an accomplished singer. Ms. Fairchild has toured with superstars, backed up superstars, and has done things her way on her records. Ms. Fairchild started performing early as she was raised with her entire family singing. Ms. Fairchild has great hair. But do any of those things define Ms. Fairchild? If Shelly Fairchild is in love with music, then I have to say that Shelly Fairchild truly loves herself. Through her art, she doesn’t “make” music, she is music. Her voice is music. Her phrasing is music. Her choices are music. Ms. Fairchild, through her songs, displays confidence and power, as she should. Her strength is infectious and her passion shines through her performances. She is in love with music and music is in love with her. For they are one in the same And that is the answer for me. Who is Shelly Fairchild? She is music and all that music is. May she continue to explore herself and her creative angels so we may all enjoy the world she inhabits. Let us love everybody and be at peace. Hopefully Shelly Fairchild will continue to be the soundtrack we all need. 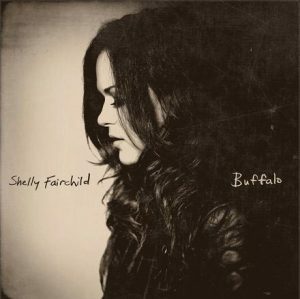 To purchase a physical copy of “Buffalo” or “Ruby’s Money,” please visit Shelly Fairchild’s webpage at www.shellyfairchild.com. If you are interested in a physical copy of “Ride,” Amazon or your local record store might be your best bets. For those of you who are streamers, Ms. Fairchild’s work can be found on iTunes or Amazon. Enjoy!